Well, it’s been a while since I’ve updated this monstrosity I call a website, but I’ve finally gotten around to it. Some might say I’m lazy, others that I’ve run out of material about 2 years ago, and yet others may worry for my health, fearing an illness kept me out of action. I’d say everyone’s partially right and leave it at that. 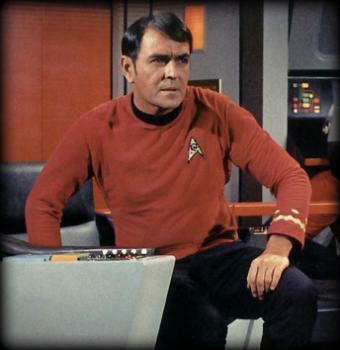 To anyone who’s been following the site, you may notice that I’m somewhat of a Star Trek fan as well, and to those who don’t follow the site, well, there’s your bit of trivial trivia for the day. 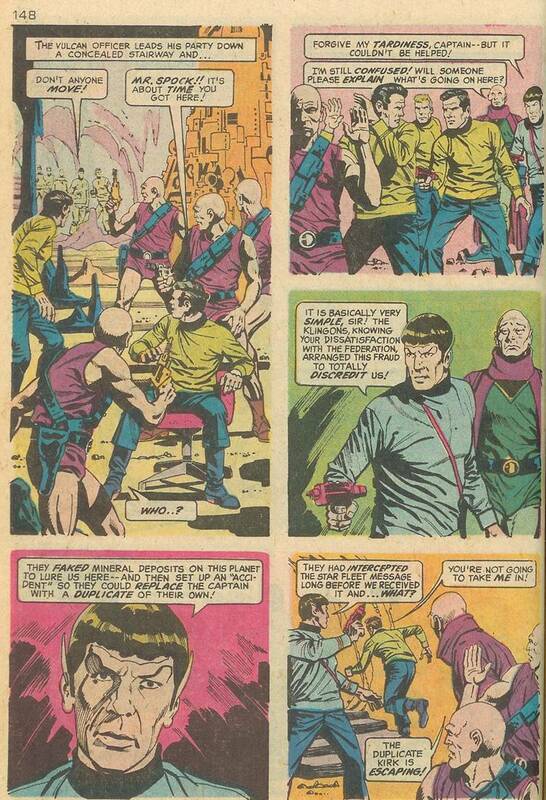 Yes, we’ve seen Mr. Spock go absolutely ape-s**t on some plants in Star Trek #1, and we’ve seen the Enterprise crew make an unexpected visit to downtown Toronto, Canada (just check out the Archives section for details). This brings us to a question any fan of the series is asked, namely, what happened to Scotty in Star Trek IV? And of course, the very next question is, what is your favorite alien? Such a bevy to choose from, but foremost on most people’s minds are the Klingons. Ah yes, the Klingons, a proud warrior race that has endeared itself to our society. Heck, you can even learn Klingonese nowadays! There is one aspect, however, that has troubled many a fan regarding the Klingons (well, it bothered me anyway). The big question is, what exactly happened to the Klingons between the original Star Trek series and the Next Generation series? They started as bushy eye browed off-white skinned fugitives from a 50s Genghis Khan movie. Remember that awful one that starred John Wayne as Genghis – I kid you not, look it up on IMDB! Imagine the Duke walking out and saying, in his perfect Texan accent, “Well pilgrim, you better think twice before making a wall to keep me out! I ought to slaughter every one of your able bodied men and feast on their flesh, I should!” (Remember, the 50s weren’t renowned for being PC). Here are a couple of photos for your comparison pleasure. On the left is the classic Klingon, and on the right is good old Worf of TNG. My word, the resemblance is remarkable! Stunning actually, especially if you were blind. 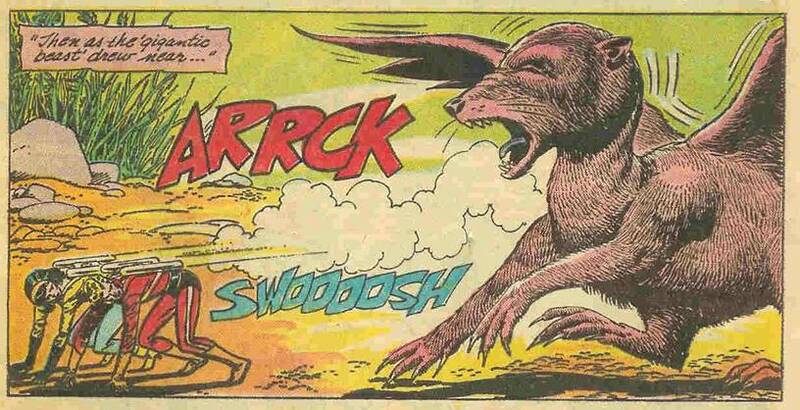 Of course, this has all been explained now in the comics, so fans don’t really have to wonder about what happened. In fact, the image to the left is the cover to one issue of Star Trek Klingons by IDW that was supposed to explain everything. Mind you, I haven’t actually read the story that does the explaining, but apparently it’s all been explained. 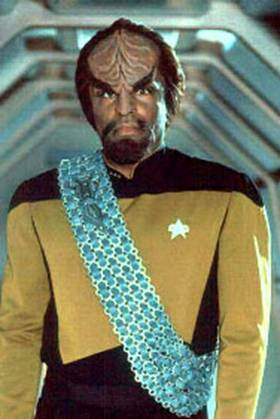 I offer for your amusement, one piece of Klingon history that I doubt anyone, anywhere has bothered to explain. Taken straight out of Star Trek #13, we find Kirk and Spock in the frightful clutches of the merciless Klingons! Yes, those purple-short-panted-wearing, bald headed, very white skinned folks in the panels above are, in fact, Klingons! Hence, the witty little WTF in today’s title. Egad, from merciless Mongol stereotypes, to bald headed Kojak knock-offs, to fanny-headed warriors! What a journey this proud race must have gone through – and I’ll just bet they wish they could just get off the ride already! 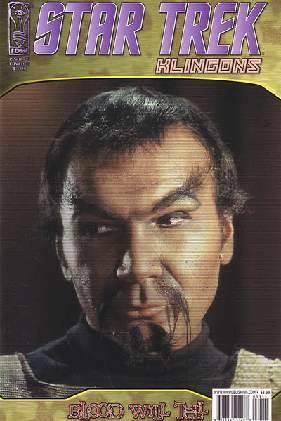 You know, in the case of the television shows, the TNG had a nice large budget, and advances in skin prosthetics and make-up to make the Klingons appear “more alien”. That is easy enough to comprehend. Also, in many cases artists doing work that involves licensed properties are limited to what they can portray. Currently you can’t make a character from a property look too much like the actor because then you’d have to pay the actor a fee for using their likeness. I remember seeing Starbuck from an older Battlestar Galactica comic series who looked absolutely nothing like Dirk Benedict, the actor who played Starbuck. But this alteration seems to defy all logic. Spock looks like Spock, so why can’t the generic Klingons look like the generic Klingons from the TV show? Judging by the clean-shaven appearance of every character on the page above, maybe it’s because the artist has trouble drawing beards? Or maybe this batch of Klingons suffer from radiation poisoning? Or maybe he had a thing for bald men in shorts? Now that’s a scary thought! I hope you held your breath.